The Russian Interior Ministry says all volunteers wishing to work at the 2018 FIFA World Cup will be vetted for potential links to terrorist organizations. “We have created a Russian football reporting center and a regional command control centers,” Deputy Interior Minister Igor Zubov said on Thursday at a press conference on international security day. 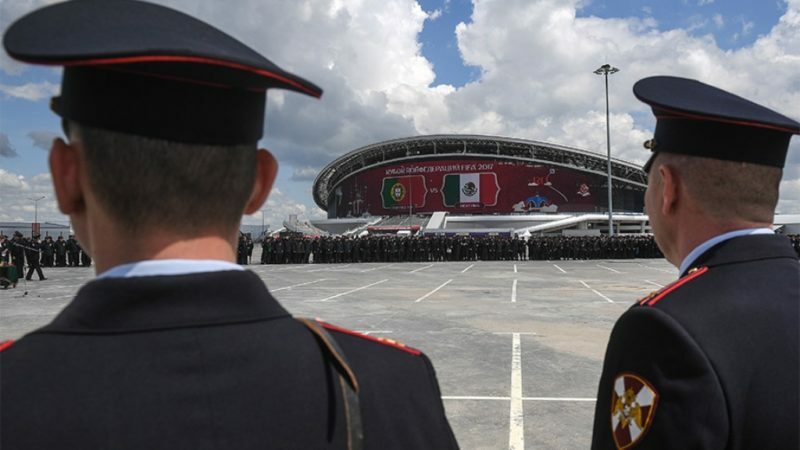 Zubov also added that much work has been done to ensure security at the World Cup venues, which will welcome thousands of fans from all around the globe. Every World Cup facility will have ‘prohibited areas’ which will be closed to traffic, drone flights and public events. The minister emphasized that major sports events have frequently been used to undermine relations between Russia and Western countries. “I can’t help noticing the increased number of attempts to use sports as a tool to undermine stable politico-economic relations between Russia and the West. Provocations that could be compared with a well-organized war operation in terms of tension and heated intensity, have already taken place,” Zubov said, referring to the deteriorating relations between Russia and many Western countries. Russia expects to host around 1 million visitors during the World Cup, which will be held in 12 stadiums across 11 host cities from June 14 to July 15.